Originally published under the title, "Bribes Paid but Not Taken." 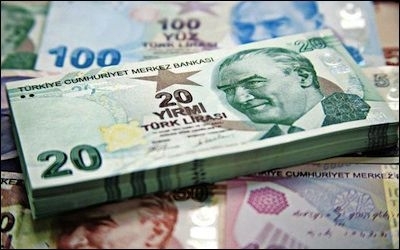 Bribery is a national pastime in Turkey. It was 1976. A fleet of brand new F-104 aircraft in the Turkish skies was approaching the apron where the top brass were proudly watching their maiden flight in the Turkish Air Force. The first aircraft to land had a near crash landing but the rest of the ceremony was a merry event. Two years earlier, in July 1974, a Turkish arms dealer had proposed the sale of a batch of 18 F-104s for $76.9 million. Just a month later, in August 1974, the cabinet approved the acquisition. In October 1974, the deal was signed. In 1975, a follow-on order was placed for 22 more F-104s, for $105.3 million. The twin contracts would later make the Turkish leg of what the world would soon know as the Lockheed bribery scandal, involving, also, West Germany, Italy, Japan and the Netherlands. Lockheed had bribed foreign officials to sell its aircraft from the late 1950s to the 1970s. After the scandal erupted, Lockheed's board chairman and vice president resigned. The Turkish Defense Ministry launched a probe into the scandal. Gen. Emin Alpkaya, then commander of the Air Force, and two other officers were investigated. Mr. Alpkaya resigned, allegedly, in return for a promise for his acquittal. In April 1976, he was acquitted. In other words, bribes had been paid but not taken. Since the 1970s, Turkey has changed remarkably. And it has not. On March 12, a prominent South Korean newspaper, Korea Joongang Daily (which is one of the three biggest newspapers in Korea, published in alliance with the International New York Times), ran a story with the headline: "Big arms broker apprehended in corruption raid." 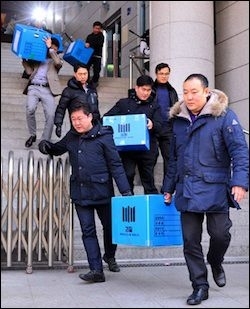 Authorities confiscate documents from the office of Ilkwang Group Chairman Lee Kyu-tae earlier this month. The story said Korean investigators tasked with uncovering corruption in the defense industry had seized articles from the private office of Ilkwang Group Chairman Lee Kyu-tae. Mr. Lee had allegedly inflated the price of equipment acquired from a Turkish arms manufacturer, the state-controlled Havelsan. Ilkwang Group's arms subsidiary, Ilkwang Gongyoung, had brokered a $115 million deal in 2009 for the acquisition of an electronic warfare training system from Havelsan. The system would train South Korean pilots with electronic countermeasure devices against North Korean interceptors, surface-to-air missiles and anti-aircraft artillery. But Havelsan's equipment, the story went on to say, did not meet the contractual specifications and the Korean dealer came under suspicion to have been involved in irregularities in its dealings with the Turkish company. Korean prosecutors claim Ilkwang Gongyoung inflated the price of the system in order to take a rebate (kick-back) from Havelsan. The prosecution said it also questioned an official from Havelsan's subcontractor, a former brigadier general with the surname "Kwon," who it believes must have colluded with Mr. Lee, along with the chief of Havelsan's Korean branch for possible involvement in the case. Most interestingly, Halvelsan's Korean branch chief, identified in the story by his age only (43), was convicted of fraud charges last year for having accepted (around) $425,000 from Mr. Lee in exchange for lobbying Havelsan officials for the continuation of the agent contract between Havelsan and Ilkwang Gongyoung. According to the story, Mr. Lee is a renowned arms dealer and his company rapidly grew after it signed an agent contract with Havelsan in December 2002. Havelsan is a respectable Turkish defense company. It owes a few clarifications to a curious Turkish (and international) audience. Are the Korean prosecutors wrong about the inflated price, and if so, why? If not, why was the price inflated and by whom? What was the price in Havelsan's official books? If the price of the system was inflated, was it for corporate or personal benefits? Will Havelsan cooperate with the Korean justice system about any potential corruption involving its sale of equipment? Why would Havelsan's branch chief take bribes to extend an agent agreement? How did he convince Havelsan management for an extension? Did he buy Havelsan officials just boxes of chocolates and tea in return for the favor? Or are we having another curious case of "bribes had been paid but not taken?"